Simtek is committed to providing any aspect of electronic manufacturing and can encompass any one or all of the disciplines mentioned. 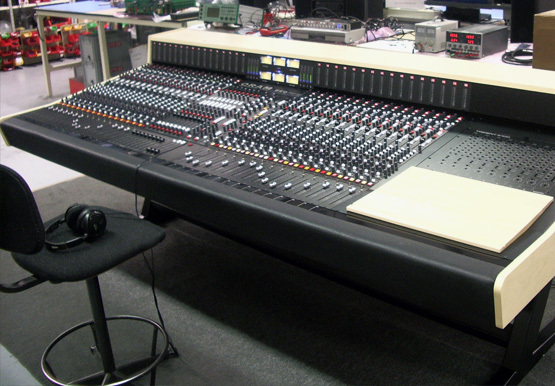 A fine example of a turn-key solution is found with the manufacturing of professional audio mixing consoles. Simtek were involved early on in the development of the Trident Dream series of consoles, advising on all issues regarding manufacturability, testing and choice of components. These actions included the optimisation of PCB layout to give the maximum yield for both surface mount and conventional assembly operations. Review and analysis of the mechanical assemblies were also undertaken to make sure that the whole unit would fit together. The actual manufacturing operations involved in the production of a console not only includes SM and conventional PCBs, but also the mounting of the PCBs into the chassis metalwork, all interconnection and cable forms and all audio and safety testing. Finishing operations include the pad printing of legend onto switch buttons, fitting of woodwork surrounds and also the upholstery and padding of the front rail. Sourcing and procurement of all components was undertaken in house to ensure that costs are controlled and that the customer gains true value. Local, national or offshore suppliers are used dependent upon specifications laid down within the customer’s requirements. For some subcontractors the service would finish at this point, but Simtek does like to see the ball firmly placed over the line! With the consoles being both bulky and fragile, Simtek undertook the design of bespoke packing crates, tailored to each console configuration (the range goes from 16 to 48 channels and any option in between). The finished crated product was then shipped to the end customer who can be located anywhere on the planet. This truly is electronic manufacturing from concept to delivery.